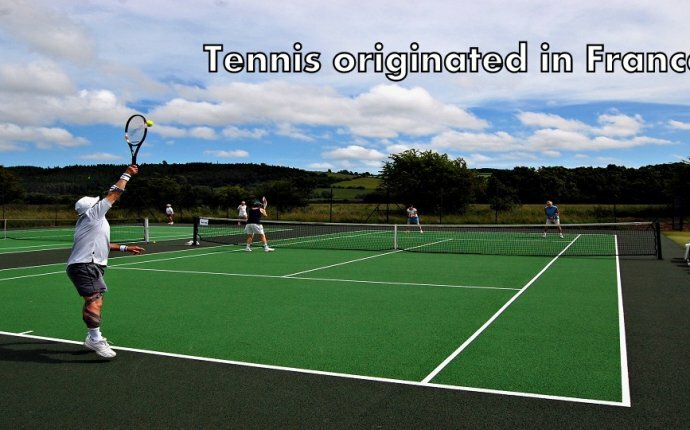 Tennis has changed radically since the game went Open in 1968. One moment, Rod Laver is swinging a Dunlop Maxply Fort on the green lawn of an exclusive country club. He’s dressed all in white, wearing a matching bucket hat. Less than five years later, Billie Jean King is a sequined blur, blasting away at Bobby Riggs in the Houston Astrodome on behalf of women everywhere. It was a seminal cultural moment, the Battle of the Sexes. It may not have happened at all were it not for a groundswell of public interest in tennis, created when pros like King finally were allowed to compete along with amateurs. The changes came hard and heavy back in those days. World Team Tennis, with its multi-colored courts. Rhinestone-studded, peacock-worthy tennis dresses courtesy of couturier Ted Tinling. A new concept for the men: a Grand Prix tour. Logo madness: WCT (World Championship Tennis), VS (Virginia Slims) and CU (Commercial Union, an early sponsor), all seals of approval, all signs of big money moving in. And inevitably, it all slowed down. The changes became institutionalized. With the feeding frenzy over, the sharks turned on each other. Turf wars left everyone bloody. But the game? It improved. Average players became good; good players became great. Amateur players became extinct. The “swinging ’60s” effect slowed. Maybe tennis dresses with giant, Alice-in-Wonderland collars weren’t so cool. Maybe smoking wasn’t so cool. Virginia Slims saw the handwriting on the charts and pulled out of women’s tennis. WCT folded up; there would be no tennis equivalent of the NFL. Big changes stopped happening. Left standing: the four Grand Slam tournaments; separate, nearly year-long tours; a stable and fair ranking system; a multi-surface game; and, of course, the predominantly-white clothing rule at Wimbledon. A person wondering in 1968 what the future held for the new, Open game would likely be impressed. But it raises the question, how different is tennis likely to be 20 years from now? What will be new or different? Here are a few ideas. The former player and Romanian billionaire was thinking of his own tournament as a fifth major, but he outfoxed himself. The tournament is simply too close to the French Open on the calendar. A different billionaire, Larry Ellison, has a stronger case to make. In fact, he’s already turned Indian Wells into a de facto mini-major. The 10-day combined event in the California desert draws as well as a Slam, and both players and fans love it. The tournament begins six weeks after the end of the Australian Open, filling a Grand Slam void that lasts until the French Open. The ITF will come to realize that this is too good an opportunity to pass up and approach Ellison. Everybody enjoys the sight of a chair umpire scampering down from the high chair to inspect the ball mark left in the red clay. In or out? The ump bends over, hesitates, peers and points—Out! Television already uses electronic line-calling technology to show the verdict, even if a tournament doesn’t. We saw during this year’s French Open broadcast that, at times, Hawk-Eye contradicted the decision of the chair umpire. That’s unacceptable. Technology is more reliable than looking at a ball mark with the naked eye. Once you have electronic line-calling technology, it should be used. Tradition is great, but there’s nothing great about the tradition of being wrong. The tennis calendar is due for a realignment. There’s too short of an off-season, and too much money to be made during whatever length it can grow to. Hybrid exhibition/team events, like the International Premier Tennis League, are growing in popularity. The Masters Series/Premier Mandatory approach to categorizing the calendar has been a winner, but the idea may have outlived its usefulness. The top players play fewer tune-up events for majors than ever before. Six of the nine traditional Masters 1000 events are held back-to-back (Indian Wells/Miami, Madrid/Rome, Canada/Cincinnati). Physically, it’s too much. The game is more demanding than ever. There will be major changes. The ITF, ATP and WTA will see the appeal of entities like the IPTL and embrace team play. Once Indian Wells is accepted as a major, Miami and perhaps Cincinnati (trading calendar slots with Canada) will become combined events, but more like Hopman Cup than a true tournament. It will be nation against nation. Three matches: men’s and women’s singles, and a mixed doubles to decide it if necessary. People will go wild for meaningful mixed doubles. And they will hurl beer cans at the guy who drills the girl in the forehead with a smash. Realizing that the capricious application of the time violation rule (20 seconds allowed between points by the ITF and WTA, 25 by the ATP) is unfair to players as well as spectators, the tours will mandate the use of an on-court clock to ensure players don’t take too long before serving. The clock will be started by the chair umpire at his or her discretion, but it will be visible to all. The unintended consequence will be a good one. Some players who think they can take all the time in the world to get ready to return will be forcibly reminded that the game is played at the server’s pace. As recently as the early 2000s, it seemed unlikely that any player would ever complete a calendar-year Grand Slam again. The game had gotten so much better, the theory went. The fields were so much deeper. The difference in surfaces was too significant. Even Pete Sampras, formerly the all-time leader in Grand Slam singles titles, couldn’t do it. In today’s game, you can’t be great on everything. It all changed. Wimbledon grass plays slower, thanks to an altered seeding mix. Clay plays faster, thanks to fitter, stronger players using today’s strings and racquets. Hard courts play at a medium pace thanks to the decision to promote a more rally-based game. The overall result: the difference in surfaces, while cosmetically the same, has never been less important. They play more like each other than ever before. With Novak Djokovic champion in Melbourne and Paris, the future may be right now. But even if Djokovic doesn’t win all four majors in one year, someone else will. Serena Williams almost did last year, coming just two wins short. When asked about the prospect of a Slam after he’d won the French Open, Djokovic told reporters, "I don't want to sound arrogant or something, but I really think everything is achievable in life."